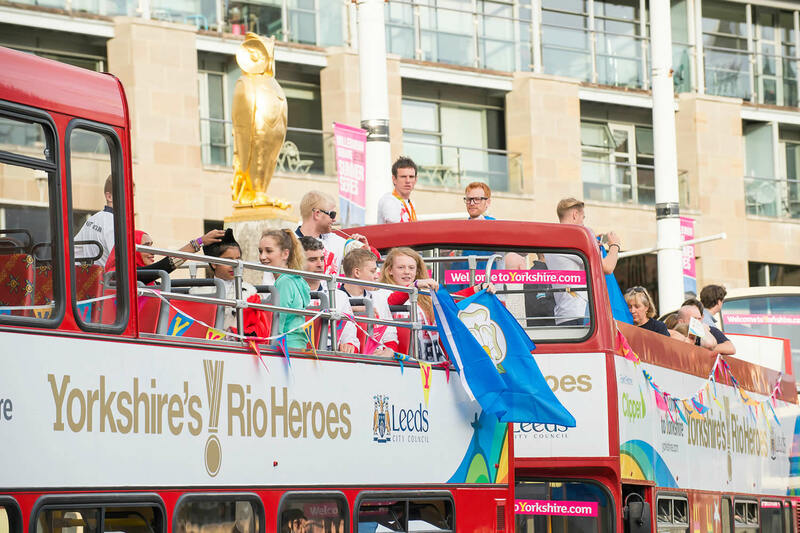 Welcome to Yorkshire in association with Leeds City Council are excited to welcome back Yorkshire’s Olympic and Paralympic athletes with a special homecoming parade. 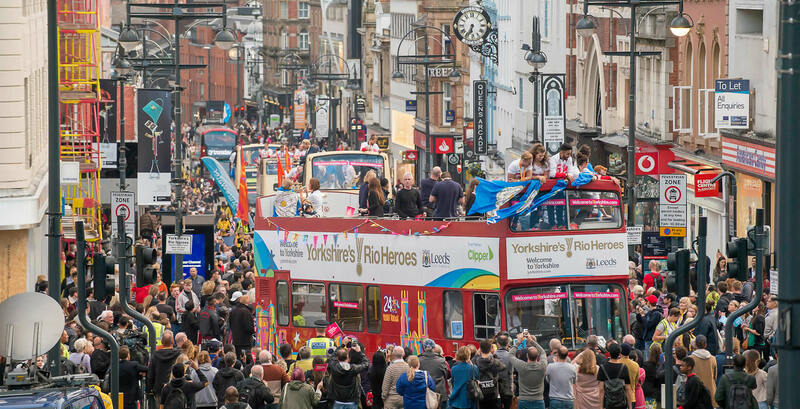 On Wednesday 28th September, a carnival atmosphere will take hold of the city as the athletes are welcomed home in true Yorkshire style. 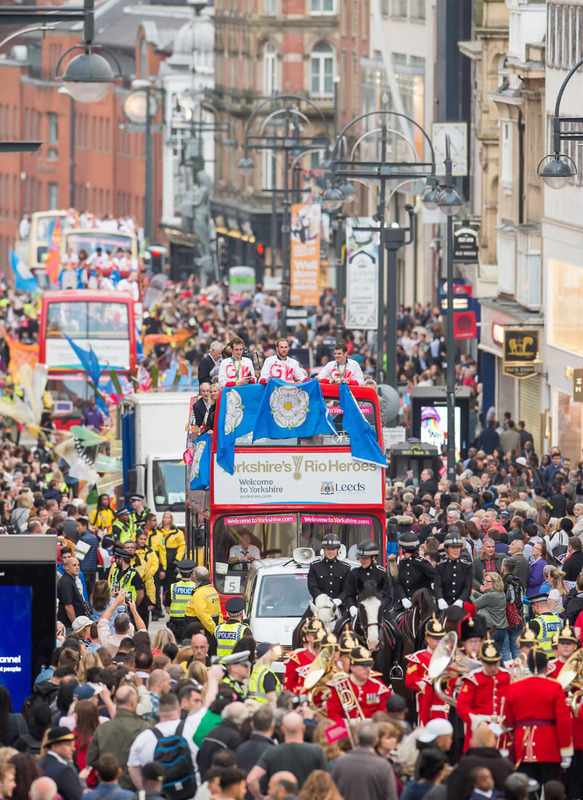 Parade celebrations will commence at 5.15pm, and we would love to see the people of Yorkshire come out in force to line the city centre route and cheer on these inspiring men and women. • Rowers Andy Triggs Hodge and Paul Bennett who both claimed gold. • World, European and Paralympic champion Hannah Cockroft MBE who won gold in Rio in the T34 100m, T34 400m and T34 800m. • Diver and gold medallist, Jack Laugher. • Triathletes Alistair and Jonny Brownlee who earned gold and silver medals respectively. • Vicky Holland who won bronze in the triathlon. • Bronze medal gymnast, Nile Wilson. • Rowing silver medallist, Zoe Lee. • Paralympic swimmer, Jonathan Booth. • Paralympic Cycling Pilot double gold medallist, Adam Duggleby. 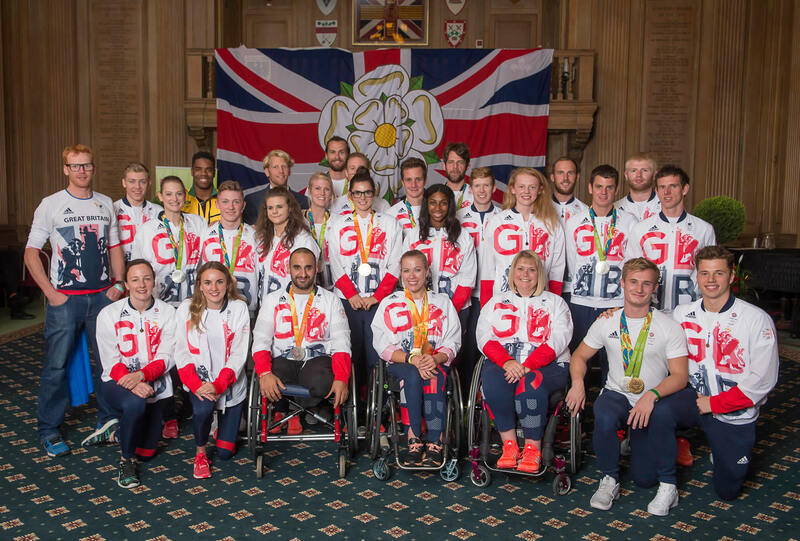 This event, which has been organised with support from other local authorities across the region, does not replace homecoming celebrations that some councils are hosting for individual athletes. • The Headrow, Calverley St to Cookridge Street. • Cookridge St, Headrow to Gt George St. This will be available at the parade start / finish location on Victoria Gardens, outside the Art Gallery. Win the ultimate team building day with Camp Hill Estate for up to 10 people! We’re bringing the Rio party to Yorkshire! Help make this a party to remember - how can you get involved? Whether you are a shop, café, restaurant, bar or office, we’d love to see your windows decorated and your team embracing the Carnival spirit. Download our hints and tips for some ideas as to how you can prepare for the parade. The best dressed window will win a fantastic team building day with Camp Hill Estate, including Powerturn racing, Rage buggy racing, Segway challenge and the bobsleigh challenge!! For your chance to win, send your pics to #rioheroes. The winner will be contacted on or before Friday 30th September. Full prize details here.